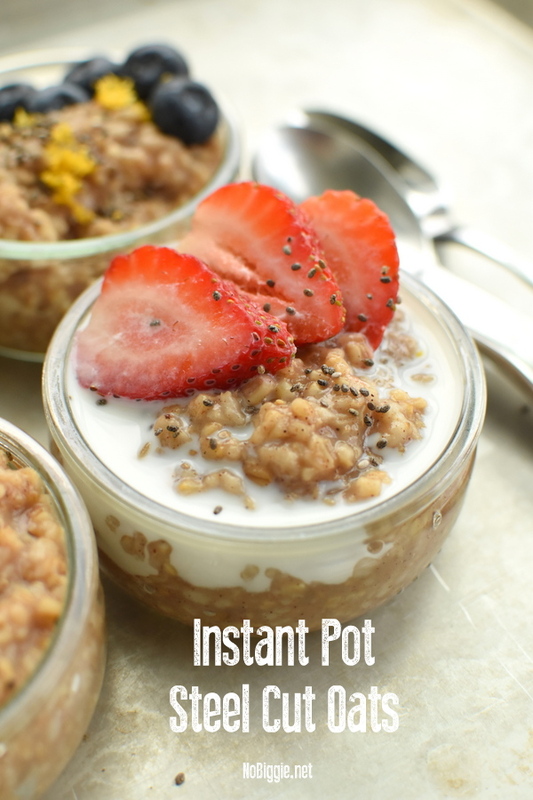 Make Steel Cut Oats in your Instant Pot! Fast and easy breakfasts are a must on a busy morning, and if it’s healthy and can keep you satisfied for hours… it’s a win win! 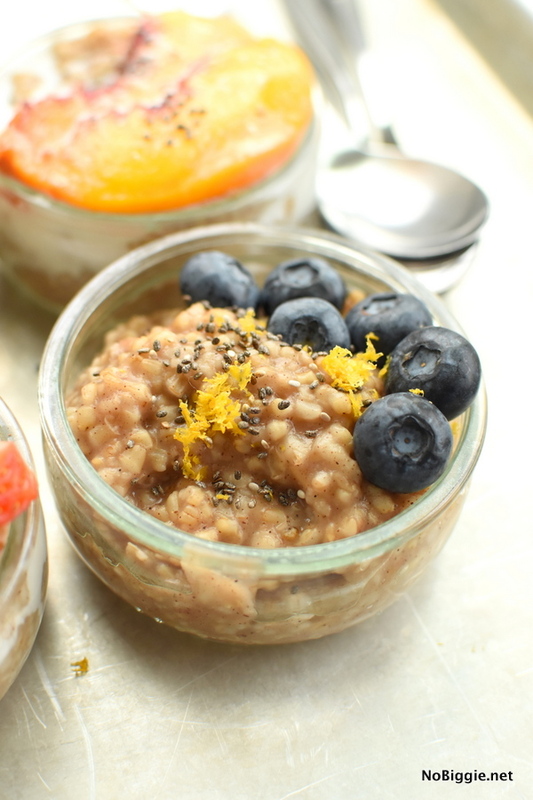 These Instant Pot Steel Cut Oats are all the things: fast, easy, healthy and the best part is that they keep you feeling full longer than other breakfast options. The best part is that you can make it ahead and keep it in the fridge for a few days or in the freezer for a few months until you are ready to eat them. There are a few benefits of steel cut oats vs. regular oats, for starters, they hold their shape better when cooked and they don’t get mushy like regular rolled oats. They also take longer for your body to digest so you stay full longer. They also freeze great once cooked, making this breakfast easy on a busy morning…just warm it up in the microwave for a few minutes with a little milk or water. If you are into meal prepping, this is a great breakfast to meal prep. They can be stored in the fridge for the week ahead or if you choose to freeze them, they will keep in the freezer for up to 3 months. You can freeze them in a muffin tin. Just lightly spray the muffin tin with non stick spray. Add about 1/2 cup portion to each and freeze. Once frozen solid (about 2 hours in the freezer), you can let it thaw for a few minutes at room temp and spin the oatmeal portion around inside it’s container until it will gently release. 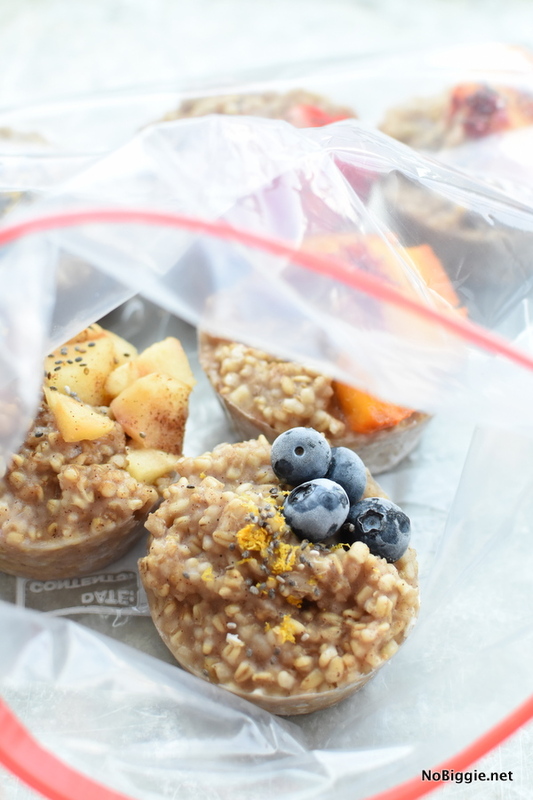 Move frozen pre-portioned oatmeal cups to a ziplock freezer bag to store in the freezer. When ready to eat, just warm it up in the microwave for 1-2 minutes depending on your microwave. Add a splash of milk or water to help loosen it up and cool it down if needed. 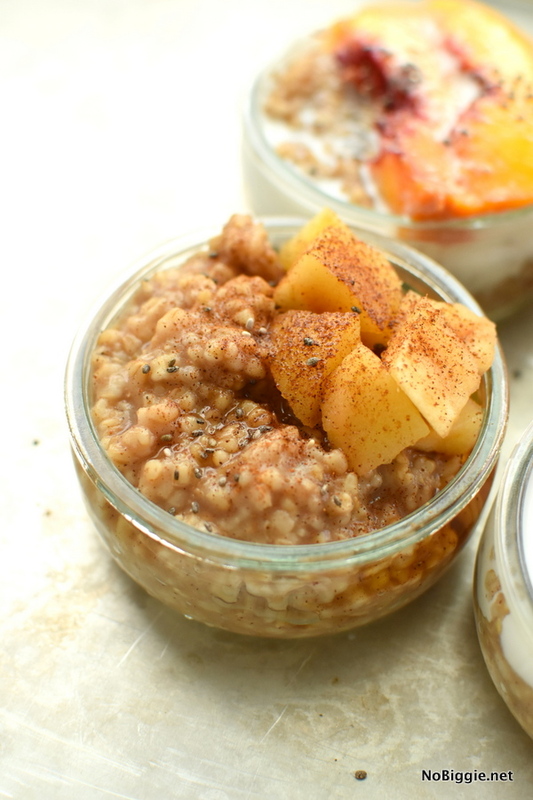 This steel cut oats basic recipe is the same, but we have topped them a few different ways, and then frozen them with the toppings for more ease in the morning. 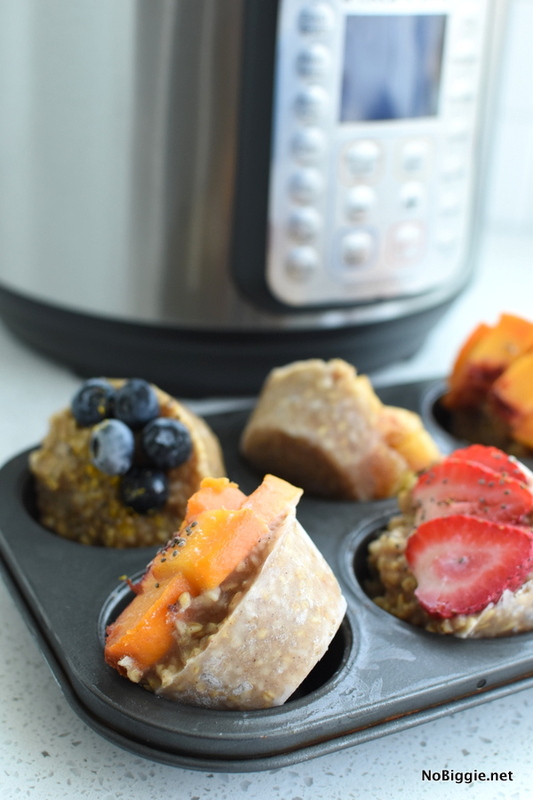 Cook Steel Cut Oats in your Instant Pot pressure cooker and enjoy them in less time with less mess. 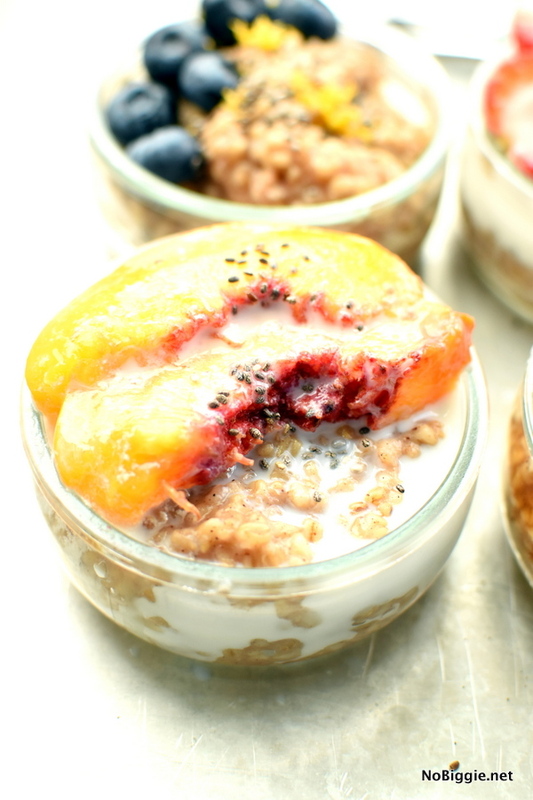 These little pre portioned cooked oats make meal planning breakfast super easy, store in the fridge to enjoy during the week ahead or freeze them up to 3 months. 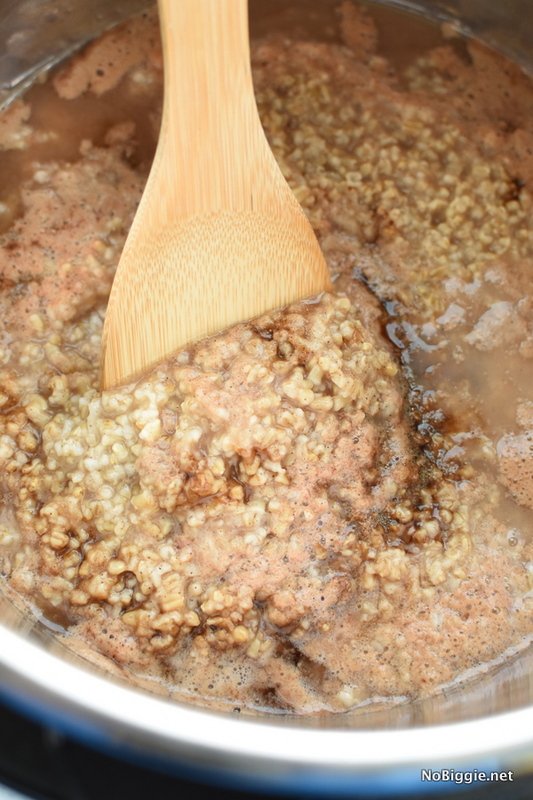 In the inner stainless steel pot of the Instant Pot Pressure Cooker add the steel cut oats, water, cinnamon and vanilla. Stir to combine. Place the lid on with the pressure release valve pointing to the sealed position. Cook on high pressure for 4 minutes. 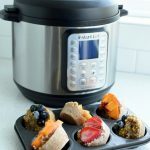 Your instant pot will take a few minutes to come to pressure before the 4 minutes will start to count down. 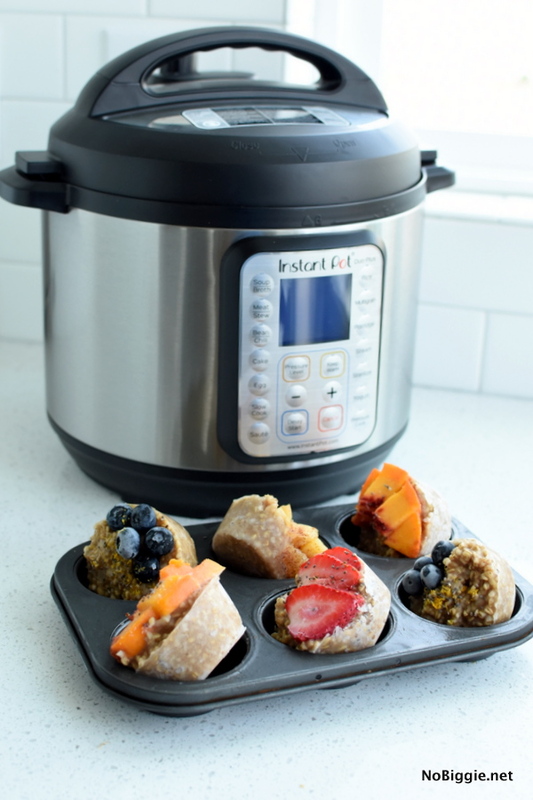 After the 4 minutes, let your Instant Pot do a natural release of steam for 10 minutes. Gently remove the lid and stir in the maple syrup for sweetness. Top with fresh fruit, nuts and seeds. Serve with more maple syrup and milk. Enjoy! 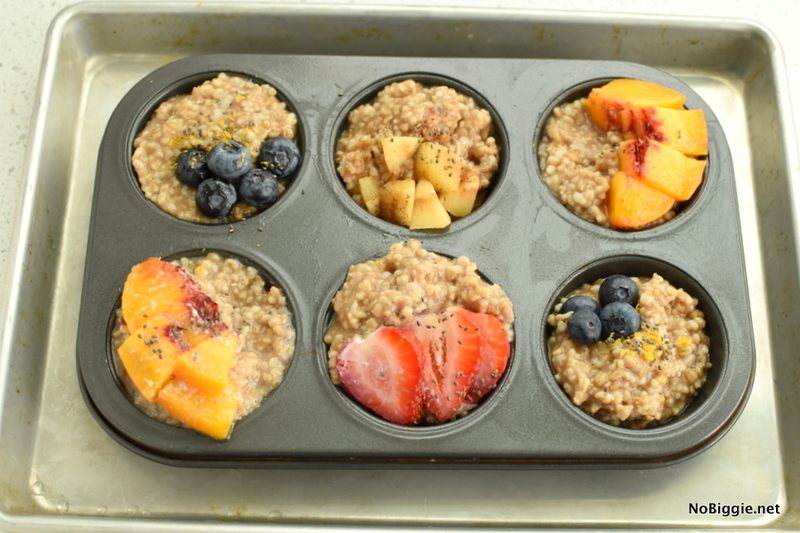 If freezing the cooked oats, lightly spray a muffin tin and scoop 1/2 cup portions of the cooked oats and place into each spot in the muffin tin. Freeze for 2+ hours until solid. Gently release each one from the muffin tin by letting them sit at room temp for a few minutes before releasing each one. Store in a freezer storage bag up to 3 months. Do not do a quick release when cooking steel cut oats in a pressure cooker, the valve will get all gunked up with the oats. If you are ready to get back to a routine with the new school year, this would be a great way to start your days off right! 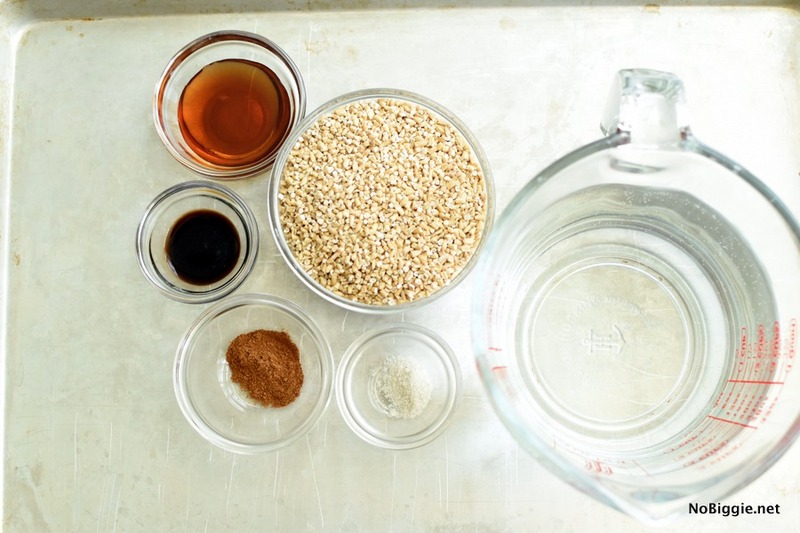 I’d love to know, do you have a favorite way to top oatmeal? I’d love to hear! With peaches in season, peaches and cream is the BEST right now!